We ride the most highly anticipated motorcycle to be launched in recent past. 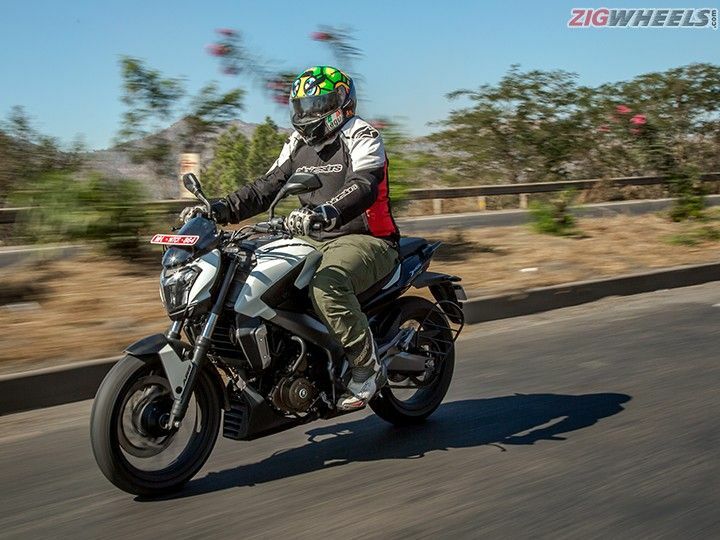 So what exactly is the Bajaj Dominar 400 and does it live up to the curiosity and hype? Bajaj’s Pulsar shook the Indian market when it made its debut in 2001. The only other modern and sporty motorcycle in a market that filled with bikes focussed on fuel efficiency was Hero Honda’s CBZ. But, it was the arrival of the Pulsars with their extra dose of adrenaline, that gave the performance starved Indian bikers a potent tool. Over the years the Pulsar family grew and went on to become the highest selling affordable performance motorcycle in India. The most talked about aspect of the Dominar 400 has to be its 373cc motor, which makes it the most powerful bike yet from the Chakan based manufacturer. The mill is based on the KTM 390 Duke’s powerplant but Bajaj engineers have added their patented Bajaj triple spark technology - DTS-i. Also in the interest of cutting costs and given the more relaxed nature of the Dominar, the engine uses a SOHC unit as opposed to a DOHC system as seen on the KTM. That is, it uses a single camshaft, instead of two, to operate the four valves. The Dominar 400’s engine has been extensively revised and you can see that in the numbers. The single-cylinder motor delivers 35PS at 8,000rpm and 35Nm at 6,500rpm of peak torque (43PS and 35Nm on the KTM 390 Duke). Now, the riding posture is where you realise that the Dominar 400 isn’t as laid back as you would have expected even from a power cruiser. The mildly rear-set footpegs and the wide handlebars mean that you are sat in a semi-sporty seating position seen on naked bikes. The rider is slightly leaned forward, but even after munching many miles on the highway we can say comfort levels were good. Show the Dominar 400 some twisties and it takes them with enthusiasm. The bike holds it lines through flowing corners with authority with the MRF rubber providing ample grip and only on the sharp corners does it finds itself a bit nervous. As at tighter corners, the long wheelbase and the high kerb weight make their presence felt and one has to use more steering effort for the bike to change direction. Despite the 182kg weight and long wheelbase, the Dominar 400 doesn’t feel lazy at low speeds either. It weaves its way through traffic quite fluently. The disc brakes provide generous retardation especially the 320mm dia disc (largest in its segment) at front, but it lacks progression and emits lot of noise when applied. The dual-channel ABS performs its duty in a diligent manner and isn’t too intrusive. The Dominar is sprung on the stiffer side and you can feel the effects of it at high speeds as some jolts are sent up through the saddle. The 43mm dia telescopic forks deal with these conditions better. But the monoshock unit is adjustable and a softer setting should help improve things in this department. However, low-speed ride was pliant enough for the city commute. We also took the Dominar 400 on some trails and it handled them decently despite the stiff suspension setup. The saddle proved to be wide and has ample space for the rider and pillion. Now while the saddle height is reasonably low, due to the wide saddle shorter riders will find that getting both their feet on the ground isn’t as easy as expected. Like all Bajaj offerings, the Dominar 400 has been aggressively priced at Rs 1.36 lakh for the standard variant and the ABS version carries a sticker price of Rs 1.5 lakh and the later will be our pick among the two (both prices ex-showroom Delhi). It looks like a muscular motorcycle and has performance that lives up to the suggestions thrown by its lines. And, it has an exhaustive list of features. But the vibey motor and harsh ride quality are aspects that detract from an otherwise well-packaged motorcycle. Also watch the Bajaj Dominar Video Review here. Share your experiences with Dominar 400? Confused about Bajaj Dominar 400?